Tags: Australia, Pensioner, poker scam. Posted on Tuesday, March 13, 2018 by "T". A 66-year-old pensioner who goes by the name Joe had been to Bali, Indonesia multiple times before, on this particular recent trip he befriended (or maybe it was the other way around) a young lady inside a shopping mall. Of course, they became fast friends. She invited him to her home so that he could meet her family. When Joe arrived at the young lady's house, the family at that time was playing poker. Joe had never played the game before as he wasn't the gambling type. Joe initially pulled only $200 out of his pocket and started playing while being coached by the family. A few moments passed by, and as Joe began to feel more confident and comfortable in playing poker, a wealthy-looking man suddenly showed up and joined them. The family told Joe that the seemingly-rich man was in the oil and diamond business. The odd tycoon suddenly whips out $200,000 out of his pocket, to which Joe could not match as he doesn't have the money. The family encouraged him further on until the tycoon is placing a bet of $50,000. The family had successfully convinced Joe that he cannot lose. Now, this is the point where it gets so much weirder. At one point, Joe flies back to Perth and comes back to Bali with $50,000 in cash. We can assume that he lost the bet and felt the need to return home to get the money and pay. Then, the game resumed, and after several more flights back and forth to his home and Bali, in the end Joe lost an entire $200,000, which is actually his pension savings, to which he handed to two family members in a KFC branch in Manila (Philippines), and they skedaddled with it. Joe told the reporters who interviewed him that he was only trying to help the family. As a reminder to anyone else falling for the charms of Balinese women, their food and/or the game of poker, he said, "I worked hard all my life, and it's gone in five minutes." Penny Lipscombe, Acting Commissioner for Consumer Protection, said that the scam is not a new one and warned tourists not to fall for this modus operandi. As a reminder to those who are traveling to various countries, while it is good to make new friends, be extremely cautious when at those times it suddenly involves you shelling out a ridiculous sum of money. Take a step back, and analyze the situation carefully. 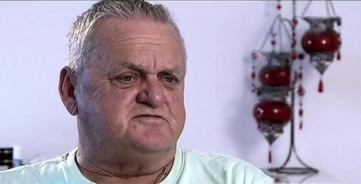 15 comments for "Aussie Pensioner on Bali Vacation loses $200,000 in Poker Scam "
this story happens daily in online poker rooms and is not scam, the player is fully aware of what he is doing, the moral is SHOE MAN FOR YOUR SHOES, the one who can not swim who bathes on the beach. If you do not know the game of poker you will live paying the consequences. its not strange to read this kind of things and to see how older people can be scamed,especially when some young lady is in story!but this is just huge amount and cant believe that he just spent so much money,because he trusted to some no known people! Ohhh...I´m afraid of my future! I don´t know if I have to be happy or sad for my unexistent $200.000 pension savings! Really it´s smell like a rare conduct... flying 4 round trip home/Bali, surely with the top of money that can be entered in the country...I have suspicious that this history it´s a theatral acting for another reasons. Protect pension savings of family members? A started ilegal business ? Loneliness it´s a bad adviser but stupidness are worse! if this man wanted to help this family, he had to offer 10 k or 20 k. To lose 200 k because your brain is elsewhere represent a case of stupidity. I'm not interested of people who want to help with difficult methods. You can give them money directly and tell them that. I offer you a sum of money and i hope to help you in the future. Simple. If they ask for more money telling them you can not offer them anymore. The 66-year-old man was obviously deeply in love with his so-called girlfriend. I want to know what she looks like. She must be very pretty. Love can make you blind. Love can be a dream and nightmare. Yeah, a relatively old man romancing with a relatively young woman is not unusual. I once dated with a girl 10 years younger than I, and occasionally people asked us if I was her dad! She was 10 times richer than I was, though. When I joined with my second daughter´s mother, she had 26 and I was an oldie of 48 years. That no worked, but...in my first marriage I had 19 and my wife 26, and that neither worked! When I joined with my second daughter's mother, she had 26 and I was an oldie of 48 years. What a story. What can you say here? He was back and forth getting money to lose it all at the end. You need to have your brains inside your head at some point. A well organised scam, but i believe it was very easy to avoid.